This statistic shows planned purchases of toys for pets by U.S. consumers during the holidays in 2014. 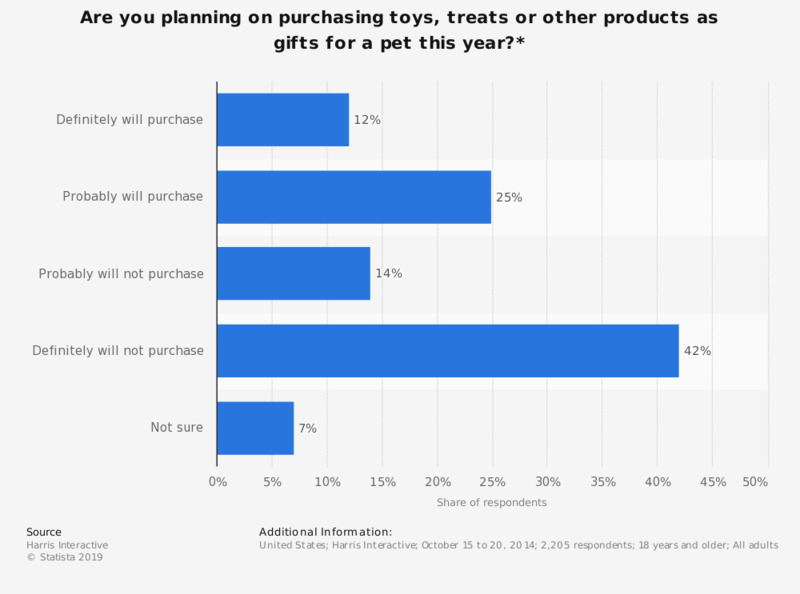 The survey revealed that 25 percent of respondents will probably purchase toys, treats or other products as gifts for their pet this year. Percentages may not add up to exactly 100% due to rounding. * Purchases during the holiday season.